North Sails is pleased to announce that Vince Brun has accepted the role of Director of Offshore One Design (previously called Class Sail Development-CSD). Brun, a renowned Brazilian-American Olympic sailor, brings a lifetime of one design experience to the position including a 35 year career as President of North Sails Small Boat One Design division. 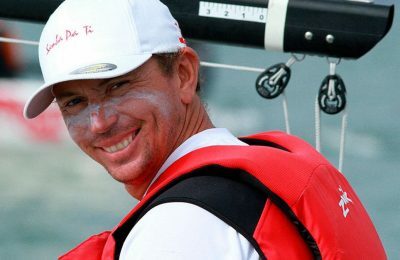 Vince will work hand in hand with current Offshore One Design leaders at North Sails such as Chris Larson and Cam Appleton, two of the world’s best sailors who have helped raise the level of design and tuning in a large number of classes. “In my 38 years of sailmaking experience with North Sails, my focus was small dinghies and keelboats in the one design market,” said Brun. “Moving to larger classes is a natural progression and I’m honored to be asked to lead North Sails’ Offshore One Design division. 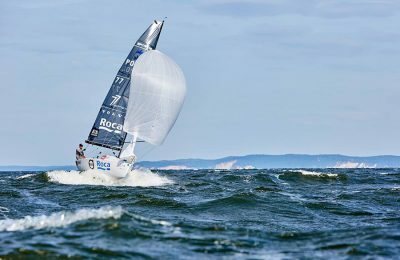 Because I have worked for North Sails for nearly four decades, I am familiar with the people, product line, and company culture, which will be a tremendous help in my new position,” said Brun, whose tenure as Small Boat One Design President culminated in a record year of client regatta wins in 2013. In addition to his proven business leadership, Brun’s on-the-water success includes nine collective world champion titles in the Soling, Star, J/24, Melges 24, and Etchells classes. “For the last 15+ years, North Sails has been the sailmaker of choice for the majority of the Offshore One Design classes. We will continue using our experience, design knowledge and technology to further our position with both product and sail care for all classes,” Brun concluded. 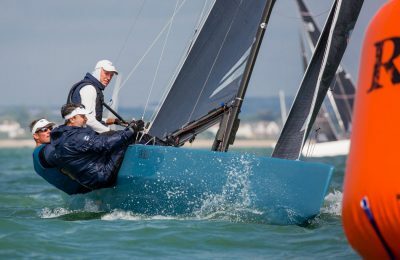 Managing the confluence of sail design with market trends, the outflow of information on tuning and technical trim to clients, and coordinating regatta and organizational support for key classes will be central to the new role. Brun will work with a team of hand-picked “class leaders” to monitor activity and effectively manage designs, ensuring North Sails products are consistently on the cutting edge.